Granted, there are some times when suppression can be a better choice than expression—for instance, when you are at work, and your boss or a coworker says something that you don’t agree with, but it is not the appropriate time to give them feedback. It is habitual suppression that is unhealthy and unproductive. We escape our emotions by watching television, going to movies, reading books, drinking, using prescription and non-prescription drugs, exercising, and a whole host of other activities designed to help us take our attention off our emotional pain long enough so we can push it back down. I’m sure you would agree that most of the items on this list are not inappropriate in and of themselves. It is just that we tend to pursue these activities or use these substances to excess, and we lose control. We use them as a compensation for our inability to deal with our inner emotional conflicts. Excessive escape is so prevalent in our culture that it has spawned many thriving industries. By the time we are labeled adults, we are so good at suppressing that most of the time it is totally second nature. We become as good or better at suppressing as we originally were at letting go. 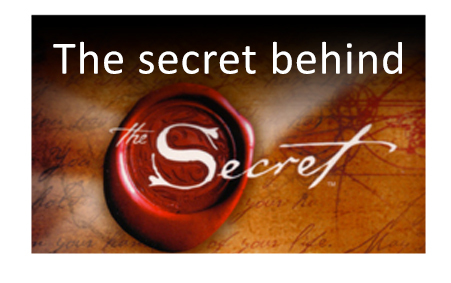 In fact, we have suppressed so much of our emotional energy that we are all a little like walking time bombs. Often, we don’t even know that we have suppressed our true emotional reactions until it is too late: our body shows signs of stress-related illnesses, our shoulders are stuck in our ears, our stomach is in knots, or we have exploded and said or done something that we now regret. Suppression is one side of the pendulum swing of what we are usually doing with our emotions. The other side of the pendulum swing is expression. If we are angry, we yell; if we are sad, we cry. We put our emotion into action. We have let off a little steam from the inner emotional pressure cooker, but we have not put out the fire. This often feels better than suppression, particularly if we have blocked our ability to express. We often feel better afterwards; nonetheless, expression also has its drawbacks. Good therapy is generally based on helping us get in touch with and express our emotions. And healthy, lasting relationships certainly could not survive without us clearly expressing how we feel. But what about when we express ourselves inappropriately outside of a therapeutic situation? What about the feelings of the person to whom we have just expressed? Inappropriate expression can often lead to greater disagreement and conflict and a mutual escalation of emotion that can get out of control. Neither suppression nor expression is a problem in and of itself. They are merely two different ends of the same spectrum of how we usually handle our emotions. A problem arises when we don’t feel in control over which one is happening, and many times we find ourselves doing the opposite of what we intended. Very often we get stuck on one side of the spectrum or the other. These are the moments when we need to find the freedom to let go. 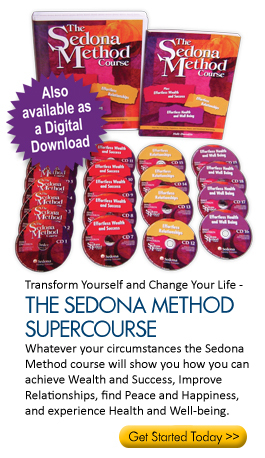 The Sedona Method can help you improve almost every area of your life.